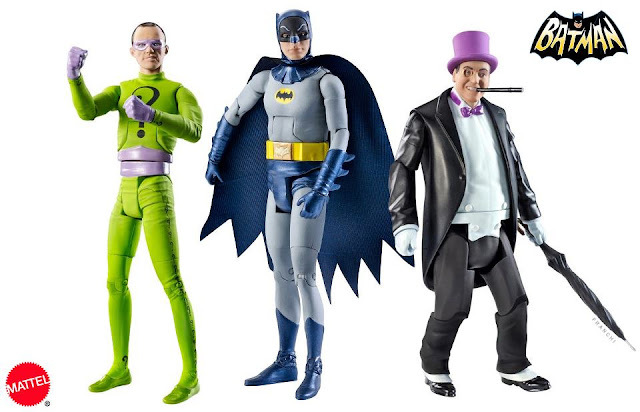 I did a State of the Batcave Toy Room Site post last month as part of a way over due assignment for The League of Extraordinary Bloggers and I am now planning on continuing to do a site update on a regular basis. Interestingly, last months post had one of the highest number of links then any other post posted to the site. These links could be due to links from the League assignment or readers just want to remember what I am up too. We'll have to see how continued posts fare, but maybe there is something to this. I've been working on my various wishlists like the top 10 Star Wars toys I want to add to my collection and I will continue to keep you updated on my progress. Plus I will be revealing my wishlists from my other focuses like my Mego World's Greatest Super Heroes and Kenner Super Powers Collection. Check out my latest acquisition of the Star Wars Electronic Battle Command Game. As I stated last month there were various organizations that I want to get involved in. First up, I through my hat into the ring to join the 501st Legion. I am thrilled to be a part of this charitable, non-profit Star Wars cosplay group. Not only will I be donating my time for various events and putting smiles on children's faces, I will be receiving a set of screen accurate Stormtrooper armor of my very own. When not being worn by me, the Stormtrooper armor will be on guard in the toy room. The manufacturer of the armor is re-doing the molds and is expected to be producing the armor again in March, but it may be as late as May. Either way, I am uber excited to be a part of this group. Last months post put out a challenge for readers to do what they really want to do in life and make a living at it while they are at it. This includes me. Others have expressed interest in joining forces and putting together an ultimate geek feast. It has been slow going, but we have something special planned for you. We only need to keep you from escaping. I've also been asked to partner up in a new comic book store concept. It may not be new, but I haven't seen any stores do this sort of thing before. More on that as time goes on. I was once again unable to get tickets to the San Diego Comic-Con. This year I had 3 computers going and wasn't even able to get in line to buy online tickets. Next years plan is to be a vendor and promote one of the projects I am involved in or if any of that doesn't take place maybe promote the Batcave Toy Room, sell shirts, or something. Either way I am getting in. One way or another. At least I have Mattel's release of Batman TV series toy greatness to look forward to coming in July. I tried out a new blog design a few weeks ago that unfortunately didn't last long. The change resulted not only in a jump in page views, but also an increase in adsense revenue. I also received numerous compliments on the new design, but just as many unhappy readers as they had various problems reading or commenting on posts. This was due to the new design not being compatible with different web browsers. The views and revenue also quickly declined shortly after. Almost as fast as they went up. So, I am back to more of the blogs original design. I'd like to hear more of what you thought of the last design or if you prefer this one. Other than being extremely busy that's about it gang. I plan on getting back to stories of a time gone by about my toy collection and helping you reboot your childhood. Stay tuned. I do wishlists all the time...So much fun! Aren't they. I feel like a kid writing a letter to Santa Claus. Personally I am diggin' the new look. Do what you love just do it bigger seems to be a good way to look at this year. Exciting times for you John that's for sure. Sure is JBoy. I am expecting this year to be way fun and full of surprises. I missed out on SDCC tix too! But I'm holding out hope for an inside angle (having in-laws in that area) so we'll see. We need to get more chatter going on our plans too, but I've been so busy! Having some juice never hurts. No problem Eric. I am in the same boat, but a running Tauntaun gathers no snow. Me too Dr Theda. Still hoping to see a sample of the Joker. Mattel must be still working the bugs out of the prototype or saving it for a surprise. Can't wait.